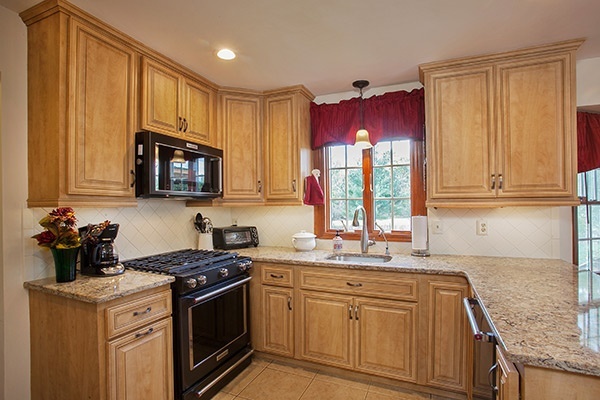 If you could remodel your dream kitchen, would it be big with a lot of open space, or small and crowded? Surely, most of us would want to knock down a wall or two. But in reality, expanding your kitchen can be costly and may not be an option. Sometimes, it’s best to work with the existing charm of your small kitchen. The good news is that there are some tricks of the interior-design trade to help with this all-to-common problem. 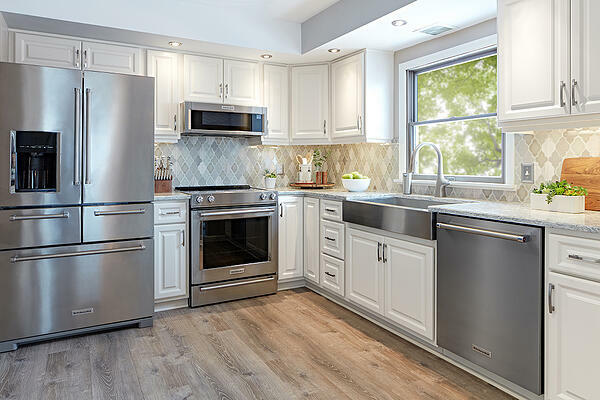 The bother of a small space is felt most when it’s a frequently-used and functional room, and few rooms of the home are more functional than the kitchen. These are 5 kitchen design tips that will make a tiny kitchen look and feel much bigger. When it comes to the overall design of your kitchen, using clean, simple lines to style your space is your most useful tool. Stay away from large corbels, sconces and elaborate crown moldings, which can break up the design of your kitchen and overcrowd the room. Instead, ask your craftsman to extend your cabinetry to the ceiling, but keep the cabinet style simple. The trick is to draw the eye upward with your design, which makes your ceiling appear taller. Use vertical lines in your design, either with baseboards or with paint, for a simple design with added height. 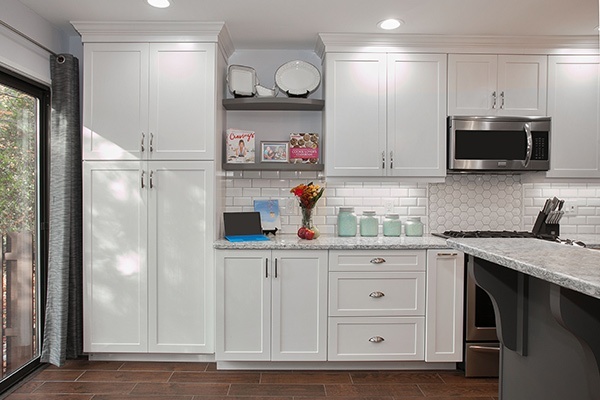 To keep the design continuous, paint your cabinets the same color as your walls. This erases visual boundaries from contrasting colors. Stick with lighter hues and pale colors that tend to reflect light and make the space appear larger. Keeping clutter from your countertops and having the proper storage space is important to keeping a small kitchen working like a large one. Recessed storage is a great way to maximize your storage space while keeping your countertops and flooring space open for cooking and food preparation. If you can, tuck your pantry or some shelving flush with the wall, as shown in the kitchen below—you’ll be surprised how much space you gain! Incorporating open shelving into your kitchen keeps the space from appearing broken-up and gives the illusion of a more expansive space. Open shelving is also a great way to keep counter space open. You can use your open shelves to display your favorite focal pieces or to store everyday essentials for easy access. Glass doors allow the eye to travel to the back, making the kitchen seem more expansive. 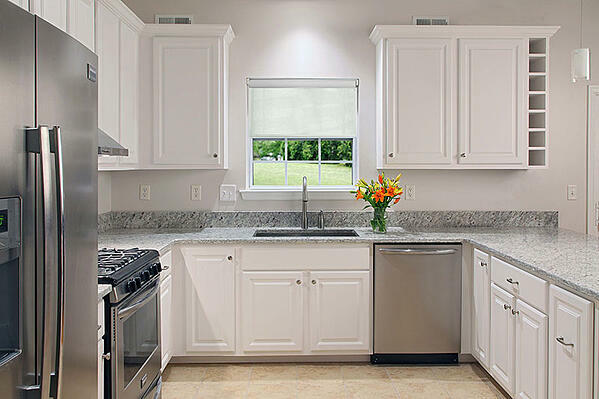 They also lighten the look of your cabinetry, and lend a more open feel to your whole kitchen. 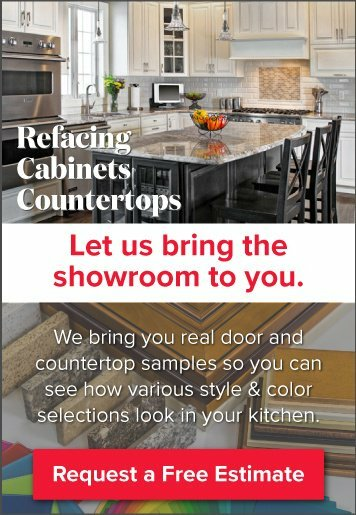 If you like darker chocolate or cherry colors for your cabinets, adding glass cabinet doors can help bring light to these darker colors in your small kitchen. 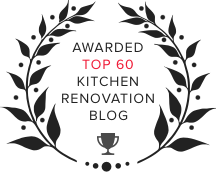 These ideas will help enlarge a small kitchen space, but if you're still in need of advice for your kitchen project, Kitchen Magic's expert design consultants are well-equipped to help. Schedule a free-in-home consultation when you're ready to discover your kitchen's true potential.